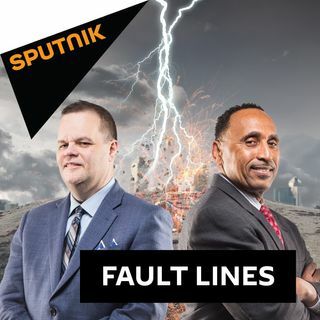 On this episode of Fault Lines, hosts Garland Nixon and Lee Stranahan begin the new year by taking an early look at the 2020 Presidential race as the federal government remains shutdown. Senator Elizabeth Warren put forth her presidential ambitions and Mitt Romney launched an attack on President Trump as the political season again kicks into action. More details continue to be revealed about the shadowy organization known as the Integrity Initiative and some of the media personnel with which they associate. University of Sheffield professor Piers Robinson joins Garland and Lee to discuss some of the latest revelations in this story about covert disinformation and propaganda being promoted by powerful, politically connected entities. Massachusetts Senator Elizabeth Warren announced that she is forming an exploratory committee for the 2020 Presidential Election which effectively makes her the first major candidate to take this step on the Democratic side of the aisle. Political activist & broadcast journalist Niko House returns to Fault Lines to give his take on Warren's early move and if she will be a serious contender in the coming primary battle facing Democrats. To close out the show, the hosts are joined by Ryan Cristián, founder and editor of The Last American Vagabond for a conversation about the direction of American foreign policy at the beginning of 2019. How will Trump's decisions for Syria change the situation in the Middle East and could Israel take major military action which would further alter the calculus of the Trump administration in the region?